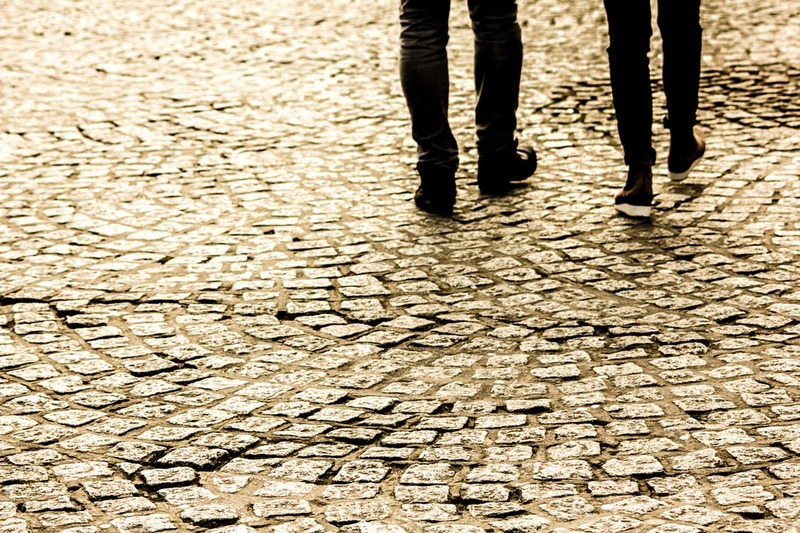 We have a problem: Jesus tells us to evangelize, but we’re resistant. Even though Jesus, who is the most loving person in the world and considered by all to be a great teacher, spent three years of His life evangelizing, bringing God to humanity (Cf. Pope Benedict XVI, Jesus of Nazareth, vol. 1, 44) and inviting people to a response, 48% of Canadians feel the word ‘evangelism’ has a negative connotation, and only 8% feels it has a positive one. This is now our second homily totally on evangelization, and we want to overcome the feeling that evangelization is something negative. Evangelization doesn’t mean necessarily preaching on a street corner with a Bible or being like a televangelist. It’s about loving people and introducing a friend, Jesus. Fr. Francis Ching, CC, told us during the parish retreat: “Don’t be an agent. Be a friend.” Give people what they need. If they don’t want to hear about Jesus, don’t force them. We will still live out our faith, but we’ll never force anyone. In this parish, whenever someone wants to become Catholic, the key word that we always start with is…? ‘Freedom.’ They have freedom to start, freedom to stop, and freedom to start again. Faith can only be chosen freely. That’s why St. Pope John Paul II said the Church imposes nothing; she only proposes (Redemptoris Missio, 39), like Jesus, who imposed nothing, but proposed like a lover who cares about the beloved. The first reading is a call to evangelization: Isaiah says, “The spirit of the Lord God is upon me… He has sent me to bring good news to the oppressed, to bind up the brokenhearted, to proclaim liberty to the captives, and release to the prisoners, to proclaim the year of the Lord’s favour” (Is 61:1-2). This is something positive: It’s not about imposing anything, but about lovingly proposing good news, healing, and freedom! Jesus Himself used these words at the beginning of His ministry to describe His mission. And this is what He asks all of us to do. So, evangelization means being Christ for other people. Because there are so many fundamental philosophical doubts about evangelization, let’s ask a philosophical question: Do we believe some ways of living are better than others? Many argue that each person has their own way of living and that every way is equal. But is this true? Is, for example, the way Hindus live better than the way Buddhists live? Is the Christian philosophy of life better than secular philosophy? We’re not trying to answer these particular questions, but trying to focus on the question: Are some ways of living better than others? Now let’s concede right away that the best way to live is in some ways different for different people. For instance, when we’re single, we’re more able to serve other people, but when we’re married, the better way to live is to give priority to our family. That said, we’re going to argue that some ways of living are overall better based on three principles. Principle #1: The best way to live is to become the best version of ourselves. Can we at least “agree that no one’s here to become a second-rate version of themselves, that it is better to explore [our] potential rather than to squander it,” that we’re not “here to become another version of our parents, teachers, friends, or siblings” (Matthew Kelly, The Four Signs of a Dynamic Catholic, 151)? The best way to live is to make daily choices that help us become the best version of ourselves. And any way of living that stops this is a bad way to live. Principle #2: Virtue is part of the best way to live. We talked about virtue a month ago, saying that a virtue is a quality of a person who by repeatedly doing the right thing forms his or her character. So a person who repeatedly steals forms the habit of stealing, so much so that they become a thief; stealing is now part of their character. But a person who consistently thinks before acting forms the habit of patience and becomes a patient person; patience is part of who they are. 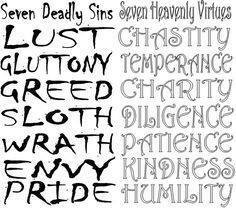 Who would you prefer as your employees or colleagues—men and women of virtue or those riddled with vice…? Would you rather your extended family were generous or self-serving? Would you prefer honest or dishonest customers…? Virtue is part of the best way to live. “Consider this. Two patient people will always have a better relationship than two impatient people. Two generous people will always have a better relationship than two selfish people. 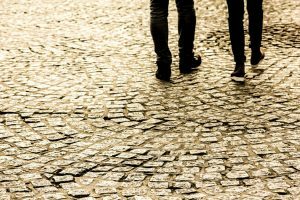 Two courageous people will always have a better relationship than two cowardly people… Who would you prefer as your employees or colleagues—men and women of virtue or those riddled with vice…? Would you rather your extended family were generous or self-serving? Would you prefer honest or dishonest customers…? 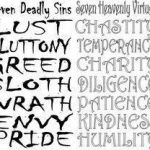 The whole world prefers virtue” (Matthew Kelly, The Four Signs of a Dynamic Catholic, 154). This might seem obvious. But notice that many ways of living never talk about virtue. Wouldn’t it follow then that a way of living that emphasizes virtue, forms it, and celebrates it is a better way of living? Principle #3: Self-control is part of the best way of living. Without self-control we can’t attain any “success in life, business, relationships, or spirituality… What happens to someone’s personal finances if they cannot delay gratification? 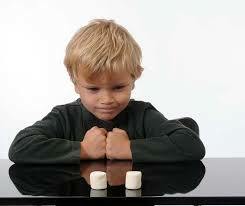 What type of relationships is a person likely to have if he or she is unwilling to delay gratification? What quality of work can you expect from a person who is unable to delay gratification? 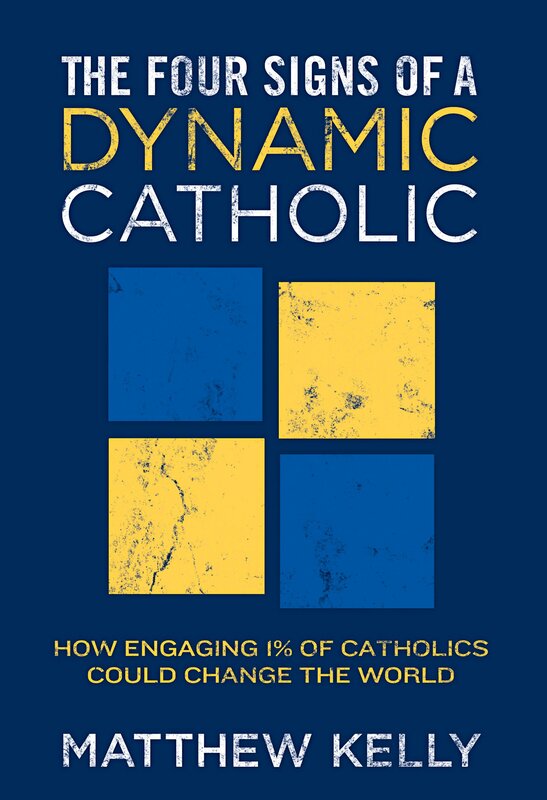 What will happen to the health and well-being of a person who refuses in every instance to delay gratification?” (Matthew Kelly, The Four Signs of a Dynamic Catholic, 155). So, if a way of life advocates self-control more than others, isn’t that a better way of living? So, to answer our question—Are some ways of living better than others?—the answer is “Yes.” It’s those that help us become the best version of ourselves, and help us grow in virtue and self-control. And now we bring this back to Jesus. 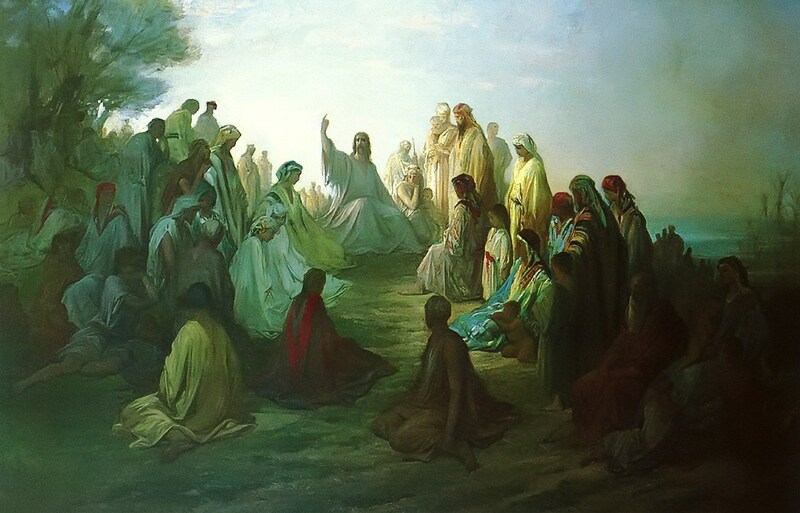 Do we believe that Jesus proposes the best way to live? Now, if He doesn’t, who or what does? But, if we do believe He does, wouldn’t we want to share that with others? That’s the beginning of evangelization. Jesus teaches us how to become the best version of ourselves, He gives us strength to live virtuous lives and lives of self-control. Evangelization means being Christ for other people. But there’s an even deeper reason. Let’s say we’re in a family of five: two parents and three children, and we’re the oldest sibling. If our two siblings grew up and separated themselves from our parents, wouldn’t we want them to reconcile with Mom and Dad? Wouldn’t we try to bridge the gap and help bring them home? That’s how Christians see the world. God exists, and, out of love, created the world, so that we could be happy with Him. But humanity resisted and turned away from Him, leading to fighting and misery. But God our Father never gives up on us. He loved us so much that He sent Jesus to bring us home. Jesus would live, die and rise for us in order to forgive our sins and bring us back to the Father. This is the central message of our faith. I told you last year about an analogy that Scott Hahn uses: Picture a convict on death row, guilty of some horrible crime, who’s going to be given a lethal injection. To make matters worse, he’s dying of some terminal illness with no known cure and only has a day or two left to live. Even if there was a cure, he has no money because he’s broke, in deep debt, and has no family. Picture him going down the hall towards the injection, when suddenly, the phone rings! He picks it up and it’s the governor of the state, who says, ‘I’ve got good news: I’ve granted you a full pardon.’ That would be good news: He won’t get executed, and can now go back to his cell and die of natural causes. But, if the governor said, ‘Not only have I granted you a pardon, but I have an announcement: they’ve just found the cure for your illness, and it’s on its way down to the prison. It’s very expensive, but don’t worry, I’ve already paid for it. I’ve also paid off all your debts, and I filled out adoption papers, there’s a white limo outside the door, you’re coming home, you’re my son.’ That would be great news! To tell people about this reality is evangelization. Many people don’t realize they’re looking for God. I never realized this. But I was looking for more, for deeper happiness and meaning in life, and I’m eternally grateful that some people I knew were Christ for me. The practical question we should all ask ourselves today is: “Is evangelization for me positive or negative?” If it’s positive, could we embrace it more and practice it? How? Be a friend to all people. Love them. Give them what they truly need. This is where we need to grow as a community; we need to be friends to each other as well as to people outside our walls. St. Anthony of Padua’s chosen programs for evangelization are Alpha and the CCO Faith Studies. 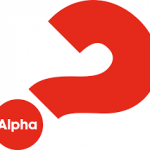 Secondly, think about inviting someone to take the Alpha course and Faith Studies. These are our chosen programs for people who are searching. 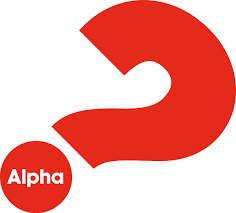 Alpha is especially for those who have no background in Christianity, while Faith Studies presumes that someone has some familiarity with our Catholic faith. On December 23, 2017, we had a baptism of a young man whose journey to God was helped through a person at this parish. Connor wasn’t Christian but was open to faith. When he met Nathan, they had a nice first dinner and all was good. Some months later, when they were together again, the subject of Confession came up, with Connor thinking (believe it or not) that Catholics always have to do it behind the screen, but Nathan just corrected him saying that we can do face to face. And this opened future conversations to discussions about faith. Connor said that Nathan never forced anything, but, just by his example, friendliness and openness about faith, he helped Connor. 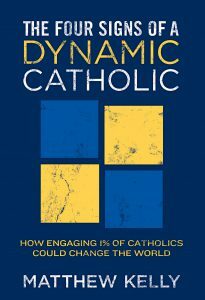 Connor is naturally inquisitive, so when he felt like he wanted to get to know more about the Catholic faith, he went to Nathan, and what did Nathan do? He invited him to Mass on Sundays, Faith Studies or Alpha—Nathan’s done all three, so he knew from experience that these could help Connor (If Nathan hadn’t done this, then he wouldn’t have been able to suggest these, and Connor might have been stuck). And he even said that if Connor couldn’t make it, he’d do a one-on-one Faith Study with him, which meant a lot to Connor. This is an example of someone who knows his faith, has received training, is confident about sharing it, and ready to help. Nathan was being Christ for Connor—that’s evangelization.